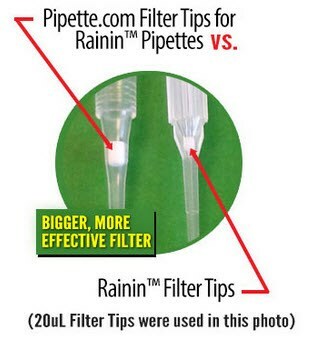 Designed for LTS and XLS Rainin pipettes Pipette.com LTS line of tips are a quality economic alternative to the Rainin tips. Molded utilizing special resins our LTS tips require the least mounting force in the industry while still providing an airtight seal. This ensures that tips are able to properly mount on pipettes even with worn out barrels. Tips are available in Bulk, Racked, Racked/Sterile, Eclipse Reload and Filtered packaging. There are no threads in Pipette.com Rainin LTS Tips Reviews at this time.